“A” Rating Awarded to Painted Rock Academy and Valley Academy – Again! The report card on our schools is in, and we earned A’s – again! 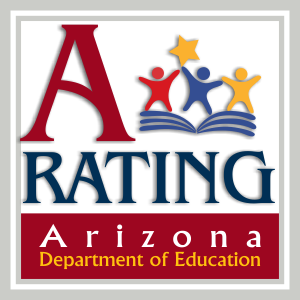 The Arizona Department of Education letter grades for the 2013-14 school year have been announced, and, as always, Reid Traditional Schools’ Valley Academy and Reid Traditional Schools’ Painted Rock Academy both received an “A” letter grade. In our organization’s 20-year history, our schools have never received less than the highest possible ranking. Reid Traditional Schools congratulates the administration, faculty, staff, students, and families at both schools for the excellent teamwork demonstrated by the “A” grades they achieved.